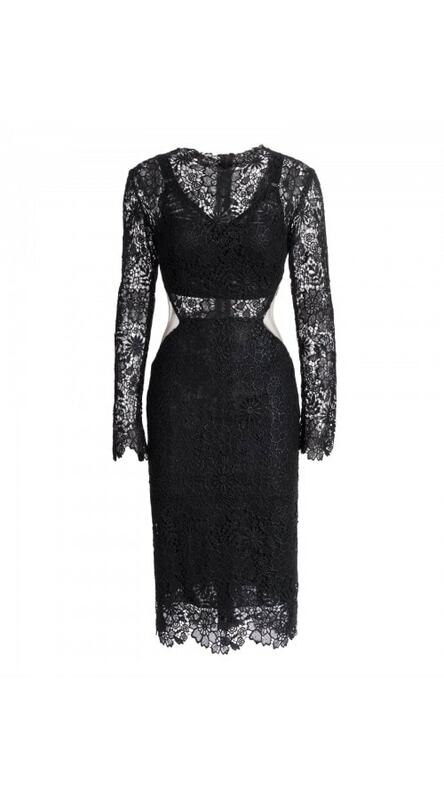 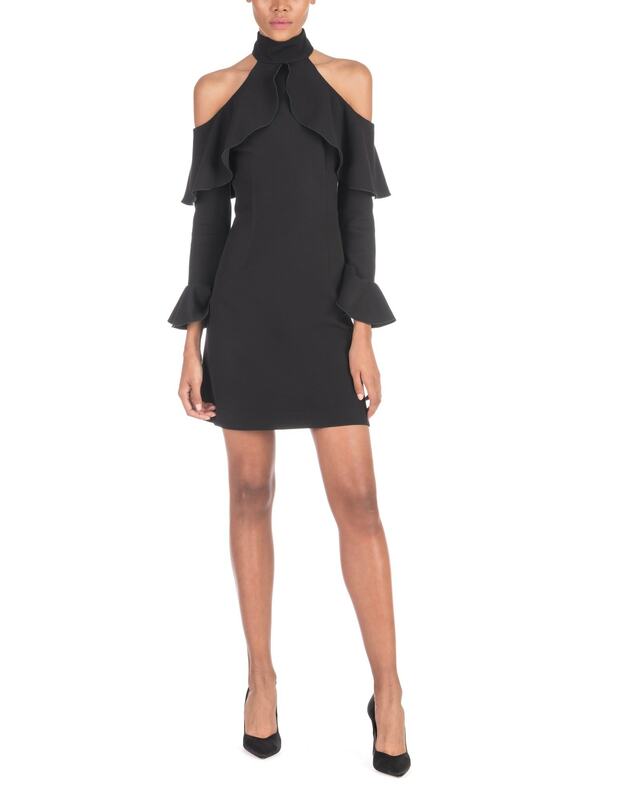 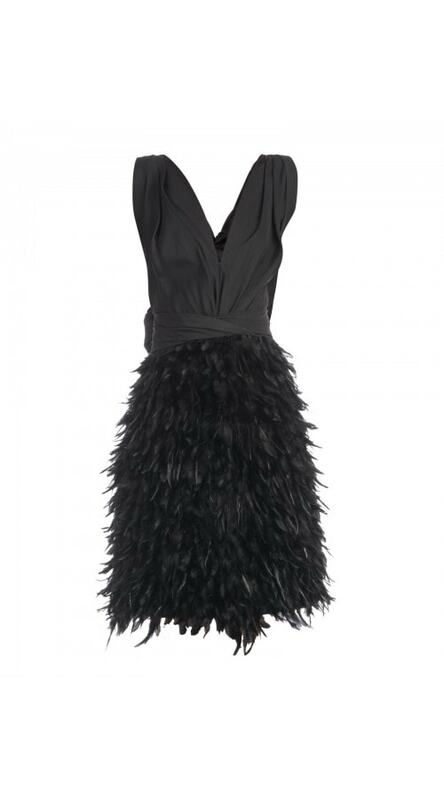 This little black dress comes with a trendy twist, featuring a high neck and cold shoulder look. 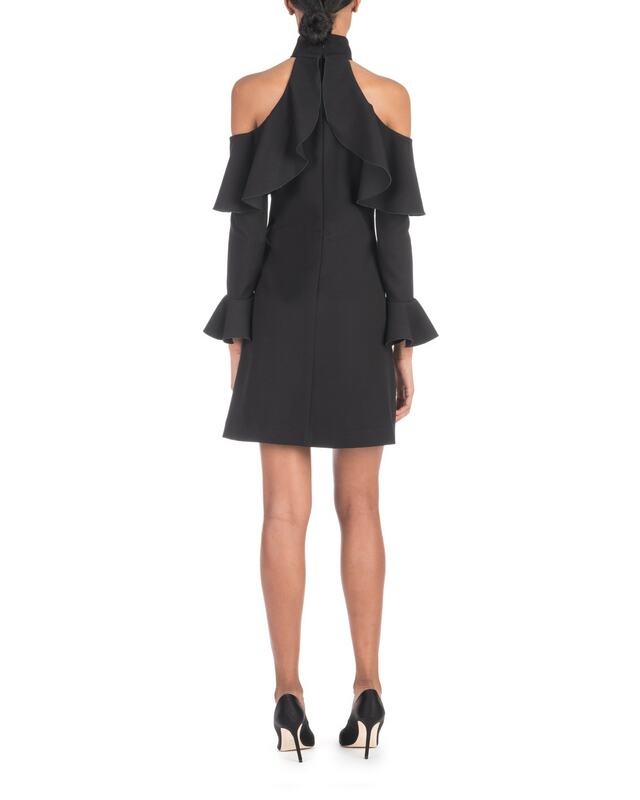 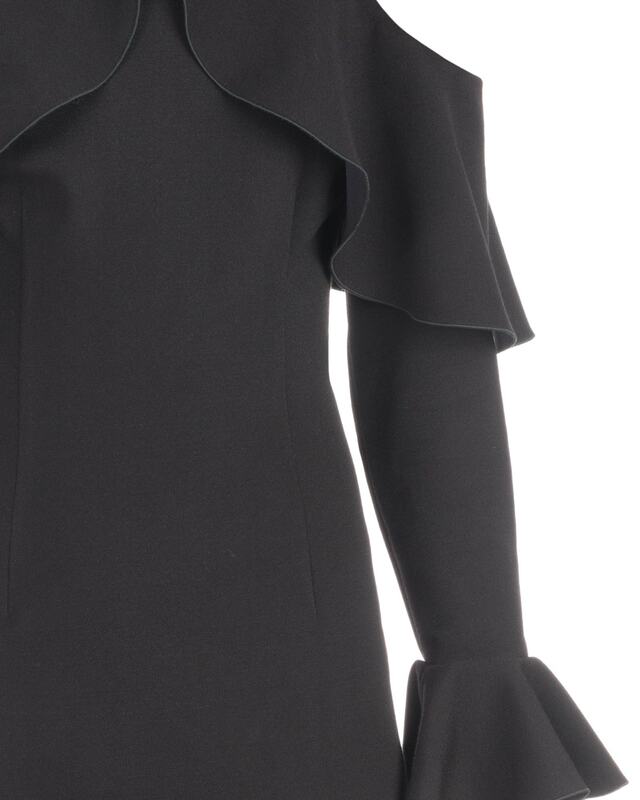 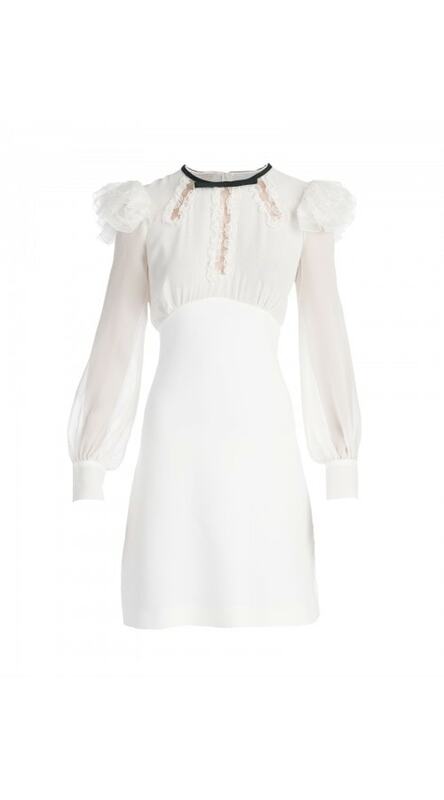 Delicate ruffles contour the sleeves, and its A-line shift silhouette make for a flattering shape. 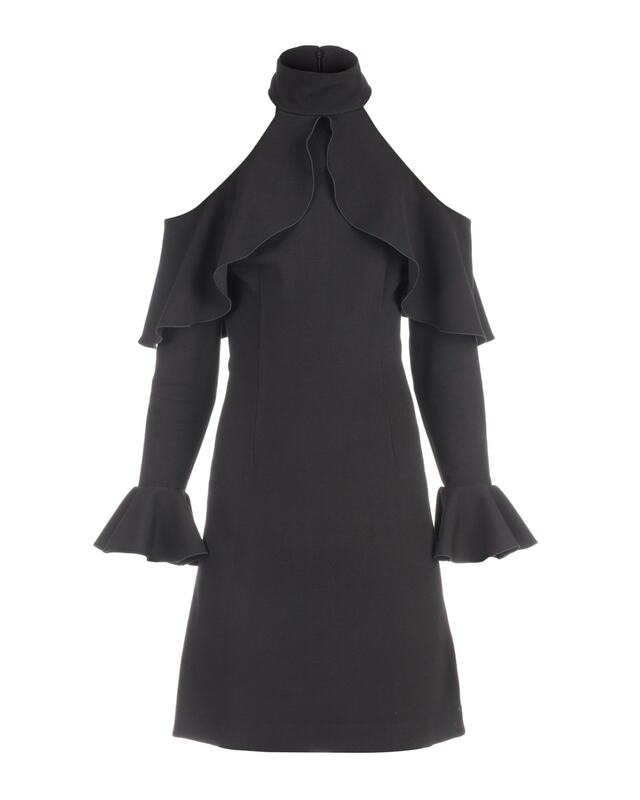 Length from neck to hem: 37.5"